A very special gift for your brother. 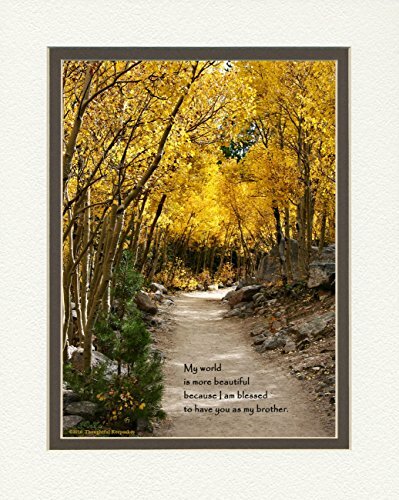 This beautiful photo of a lovely serene path surrounded by aspen trees includes the sentiment: My world is more beautiful because I am blessed to have you as my brother. For other non-personalized matted photo or poem choices or to view a selection of my personalized gifts, with or without a frame, just scroll to the top and click on Sister, Brother, Cousin Gifts.